Design and fashion historian Emmanuelle Dirix gave an illustrated talk called Women, fashion and the First World War and discover how the First World War not only changed women’s lives but also how they dressed. Ms Dirix discussed how the huge political and social upheaval of the early twentieth century led to dramatic changes in the fashionable female silhouette and saw the birth of the New Woman after the war. For the first time in history women took on traditionally male roles in the workforce on a huge scale while men fought on the Western Front. This was reflected in a more practical approach to dressing and saw the shocking introduction of shorter skirts, shorter hairstyles and even trousers into the female wardrobe. Ms Dirix focused on the female war experience as a force for change from the lavish but constrictive Edwardian style to a more comfortable and ultimately modern fashion aesthetic. The talk was followed by a question and answer session. 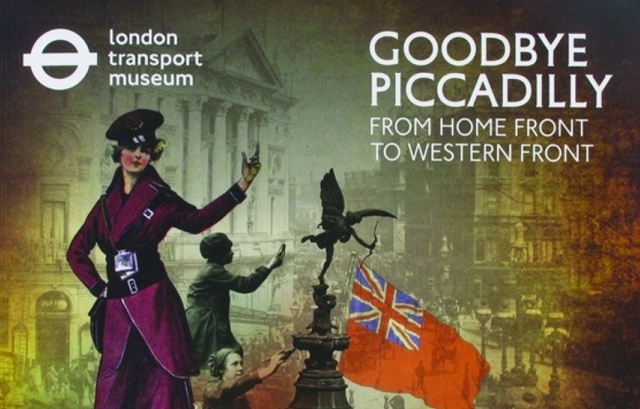 This talk was in conjunction with the London Transport Museum’s 2014 exhibition Goodbye Piccadilly: From Home Front to Western Front.